The more you read about the figures that are wagered on major sports in America, the more you think that legalised gambling is going to come in sooner rather than later. The NBA have already posted hints and suggestions that they are moving in this direction, and the league expected gambling to become part and parcel of the sport. There will be critics and criticism of gaming and gambling on sport but gambling will eventually prevail and this is down to one very easy and simple reason. There is too much finance involved with gambling on the major sports in the United States for the status quo to remain and the March Madness gaming and gambling figures will provide another major reason why gaming is on its way for the major American sports. It is often said that the Americans, as a nation, don’t understand the concept of irony but surely even the majority of American sports fans must find it annoying or strange that European and UK sports fans find it easier to bet on basketball and other US sports than Americans themselves. 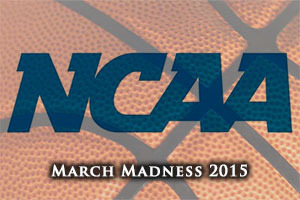 There is an acceptance that legalised gambling on March Madness will run into hundreds of millions of dollars. This is a great sum of money but the money that will be wagered on illegal gambling for the major NCAA tournament is going to be more, considerably more. There was a comparison made for the Superbowl which suggested that around $100 million was wagered legally but around $3.8 billion was wagered illegally in the United States. There are similar suggestions for the scale of bets that will be placed surrounding the March event. ESPN have released figures stating that they believe the sum of money wagered illegally on March Madness in 2013 was between $2.6 billion and $26 billion. This is a really big difference, so you have to wonder how much of a differential was going on in working out the sum, but even at the lowest level, over $2.6 billion on illegal bets has to be seen as being a monumental sum of money. We’re not really looking at the office pools, pretty innocuous stuff. We’re looking at situations in which third parties profit, mainly bookies. You also have off-shore websites. That’s really where most of this is happening. We’re having conversations with our membership, and we’re trying to determine what the best thing is to do here. It’s clear that people are betting whether it’s legal or not. NBA Commissioner Adam Silver has already given his backing to allowing a federal law to come which would enable each state to make their own decisions with respect to sports gambling. It is still going to be a slow process but you can see why there is a bigger push to allow legal gambling in the US. It won’t come soon enough for March Madness betting this year, but for March Madness betting in years to come, you may be able to place all the legal bets you wish for the leading NCAA basketball tournament.